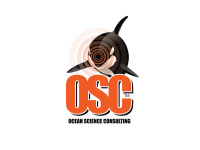 OSC has positions for 1 x dual certified and experienced MMO/FLO and 1 x dual certified and experienced MMO/FLO in UK waters for an estimated 2-month period commencing in 8-10 days' time. Opportunities for MMOs, PAMOs and FLOs in other geographical locations arise periodically, so general applications are always welcome, but residents in UK and nearby countries should indicate this at the beginning of email responses, as these applications will be prioritised. If you are interested and available, and not already on OSC's database, please provide copies of your CV, passport, driving licence (probably not needed, but useful for future reference), offshore survival and medical certificates, MMO and/or PAM and/or FLO and degree certificates. For documents not already in electronic format, please use a scanner, as photographs of documents are not often accepted. Please use relevant software programmes to minimise any scanned file sizes so that they remain clearly legible, yet easy for us to share by email with stakeholders. Please apply by email only to recruitment@osc.co.uk; recruitment enquiries to other OSC email addresses will not be considered. Please feel free to circulate this email amongst colleagues seeking freelance and permanent employment.